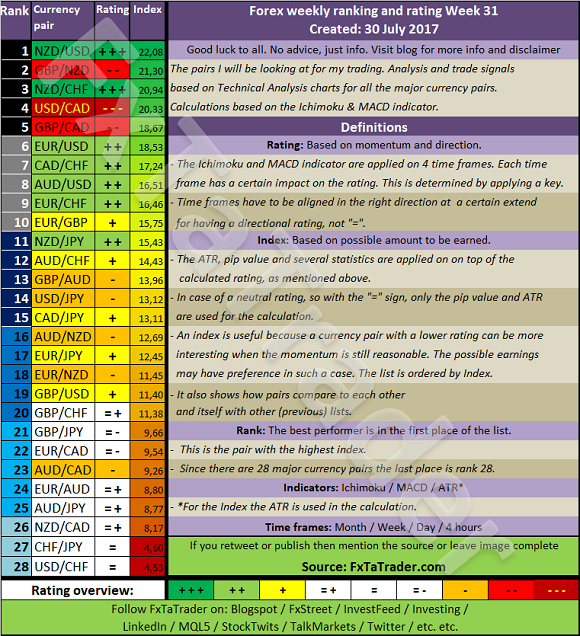 The Top 10 of the Ranking and Rating list for the coming week shows the following stronger currencies being well represented for going long: the NZD(3X) with the CAD(3X) and the EUR(3X) . The weaker currencies are the USD(4X) followed by the CHF(3X) with the GBP(3X). Neutral: AUD, CAD. The preferred range is 4 to 5. Price is above the Tenkan-Sen and clearly in an uptrend, it is consolidating at the moment around the last top. A nice buy opportunity would be on pullback around the area where the Kijun-Sen is now and the yellow dotted line. This is around 0,8850 and 0,8870. The yellow dotted line is connecting recent highs, open, close and fractals and seems a support near the Kijun-Sen. The MACD should then go back to the signal line. The PSAR is positive for taking long positions and the MACD is showing strength after a period of consolidation. After the pullback around 0,8860 (+/- 10 Pips) the 4H. chart may offer good information for the entry price. There is then a range of +100 Pips to the last top and taking profit below that top seems realistic. 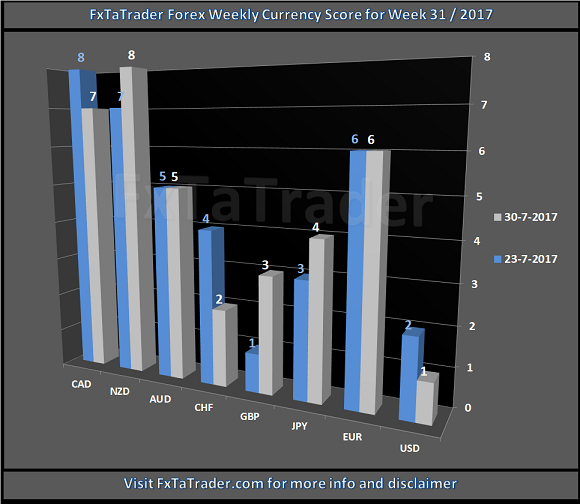 The EUR is a Strong currency and the GBP a Weak currency, the Currency Score Difference is 3.